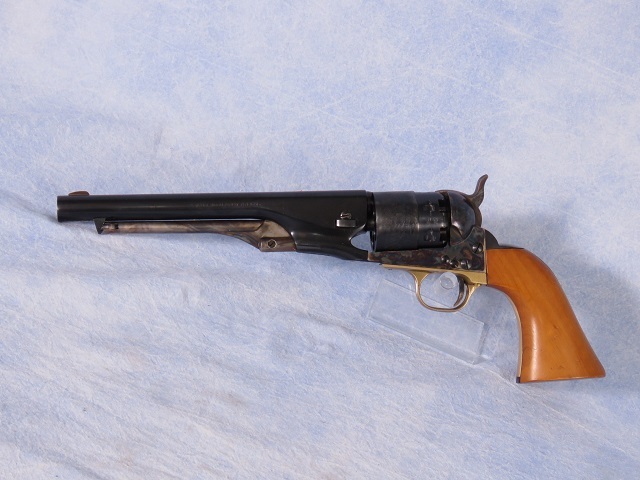 F.LLI Pietta Colt 1860 Army single action black powder pistol chambered in .44 cal. Features include steel frame with case hardened finish, 8" blued barrel with blade sight, 6 shot cylinder, brass trigger guard and front strap, hardwood grips and included leather holster. With a streamlined barrel, improved loading lever and belted cylinder for added strength this was an upgrade in its hayday!